The next time you come face-to-face with a pesky mosquito, take aim. Even if you miss the annoying insect, there is a chance it will avoid you from that point on. This is because, according to a new study published in Current Biology, mosquitos are capable of associating near-death encounters with personal scents. As a result, they may avoid the humans that swat at them. As National Geographic reports, this is the first time anyone has shown that mosquitos are capable of learning and remembering. Said neuroecologist Jeff Riffell of the University of Washington: “They’re essentially Pavlov’s mosquitoes.” With this statement, he refers to the famous experiment in which dogs were conditioned to salivate on cue. Mosquitos are drawn to certain odors, including the scent of humans. For this study, Aedes aegypti mosquitoes were exposed to a 20-minute session of bite-disturbing vibrations. Reportedly, the intensity is similar to the reverberations that travel up an arm after a slap. Scientists found that the mosquitos avoided the scent for more than 24 hours afterward. As Riffell and his team noted, this effect is as powerful as an application of an over-the-counter repellant. This finding is important, as the Aedes aegypti mosquito is known for carrying yellow fever and transmitting diseases such as malaria, dengue fever, and the Zika virus. 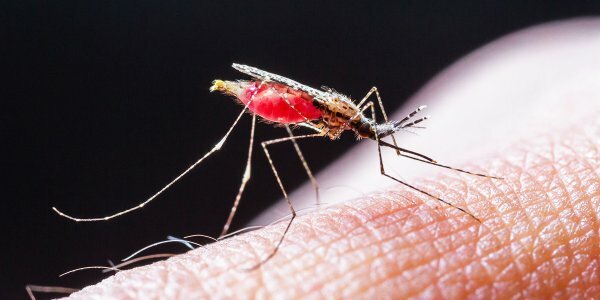 NAs a result of the dopamine-learning discovery, scientists have new information to use when developing insecticides or mosquito repellants. “Memories are an important thing, and it was completely out of the picture in mosquito research,” said Walter Leal, a chemical ecologist at the University of California Davis. “Now that we know that some compounds trigger this memory of avoidance, one could possibly use a formulation that not only includes an active repellent, like DEET, but also includes some compound that would trigger the memory of avoidance.” Leal added that it is “time to move on” from DEET-containing repellants, which are detrimental to human health.
? Study: ’Magic Mushrooms’ Reduce Authoritarianism, Enhance Connectedness With Nature Man Convicted Of Theft In 1976 Cleared Of Charges After Googling Officer ?